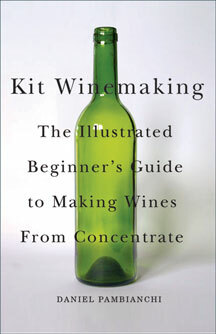 Kit Winemaking provides beginners with day-by-day instructions on making superlative kit wines, often undistinguishable from homemade ones crafted from grapes, or even commercial wines.The trend is clear-there is an increasing number of new wine hobbyists with one out of five just starting out in home winemaking and two-thirds using kits/concentrate. With the vast improvement in kit quality-and hence, wine quality-and with a plethora of wine kits and styles now available, home winemaking has become a very serious hobby.This guide describes the most common problems, how to resolve them, and how to avoid them in the first place. All this is supplemented with a handy glossary to the entire winemaking lingo to turn any novice into an expert. 112 pp 8.5" x 5.5"